My recording career! (laughs) My father played blues harmonica, and taught himself guitar, banjo and piano. Yet I didn’t play anything – although I’m wondering now about taking guitar lessons. However, when I left school – in Surrey – in 1962, 1 became caught up in what I can only describe as an evolutionary experience – that shift in consciousness in the early to mid-1960s. As an example of the type of things what were happening around me, I remember being struck by a photograph of Lenny Bruce above a little newspaper article about how, after his appearance at the Establishment Club in London, he’d been refused re-entry into the country for obscenity ñ which was ironic given the freedom of speech you theoretically enjoy in Britain that we did not have in the United States. I didn’t grasp it at the time, but this proved to be a clue, almost, to my immediate future. By the time my family moved to New York in 1965, I’d been on the periphery of the British music industry. In fact, I went to a party thrown for The Rolling Stones when they came back from their first US tour and I briefly dated Chris Stamp, the co-founder of Track Records. 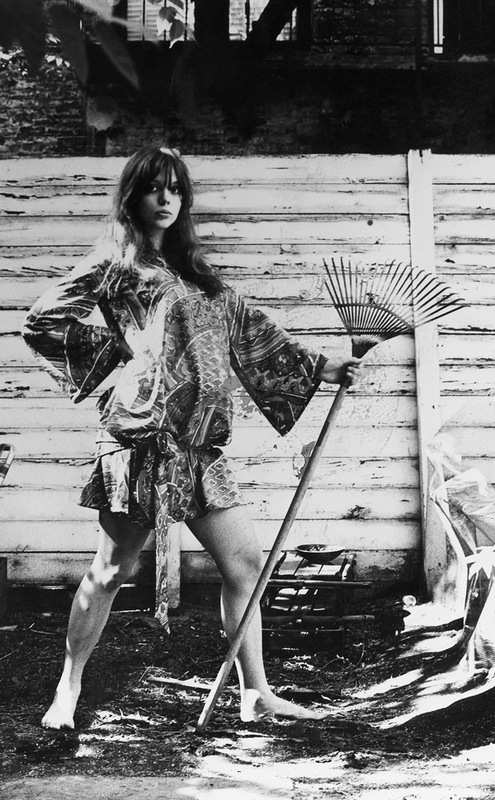 After a friend of mine, who’d worked for Track, and I hitch-hiked to Los Angeles, I was pretty much ready for anything. Somebody told me that A&M wanted to start an R&B subsidiary, and were looking for songwriters. So, though I wasn’t actively seeking such a career, I went to their offices, and brandished a sheaf of paper containing some of the lyrics and poetry that I’d always written. Then I was installed in a room with an upright piano and a guy called Chester Pipkin, who’d been in various groups of that kind in the 1950s. Frank was familiar with his output. Chester and I would grind out supposed R&B songs in this tiny room. We finished several, and maybe four got recorded, but I don’t have copies. I was actually present in some shack of a studio in the Valley when an outfit called Wooden Nickel did one of our compositions. I even worked at the Brill Building in New York for a while, but I was so naive then. I had no idea about the business side at all, and didn’t give much thought about making serious money as a songwriter. I was busier getting jobs as a secretary, stuff like that, to pay the rent. Then I was walking along Sunset Boulevard one day when Kim Fowley approached me and asked if I wanted to make a record … He was always wanting to be the power behind an all-girl rock group – which he was much later on with The Runaways. 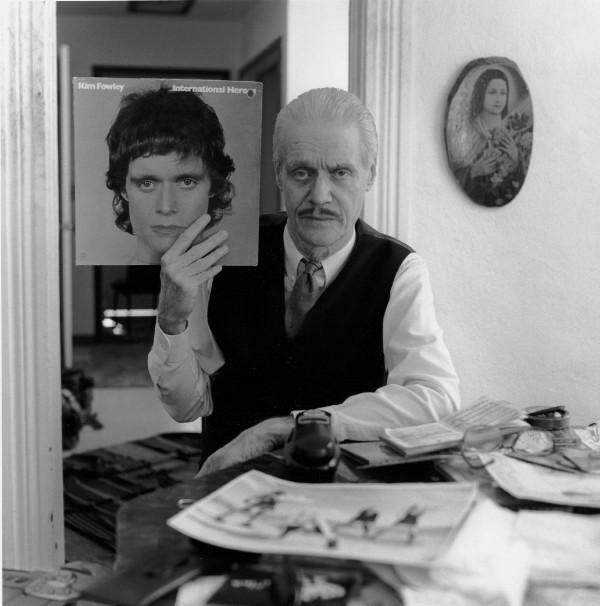 On January 22, 2015 Billy Miller and Miriam Linna from Norton Records joined forces with Dave the Spazz (Dave Abramson) on WFMU with stacks of rare, seldom heard Kim Fowley 45s, for “a surprising and illuminating peek into the early years of this legendary rock ‘n roll icon”, during a Kim Fowley Tribute week. 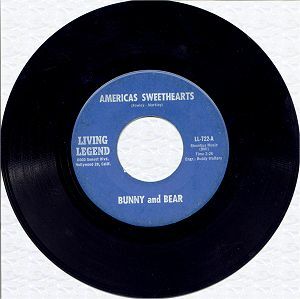 The playlist for that “Music To Spazz By” show included: Bunny and Bear, America’s Sweethearts, 7″, living legend, 1966. This single has been aired between 1:19:16 and 1:22:10 into the show, and it is avalilable through the pop-up player into the January 22 show page. 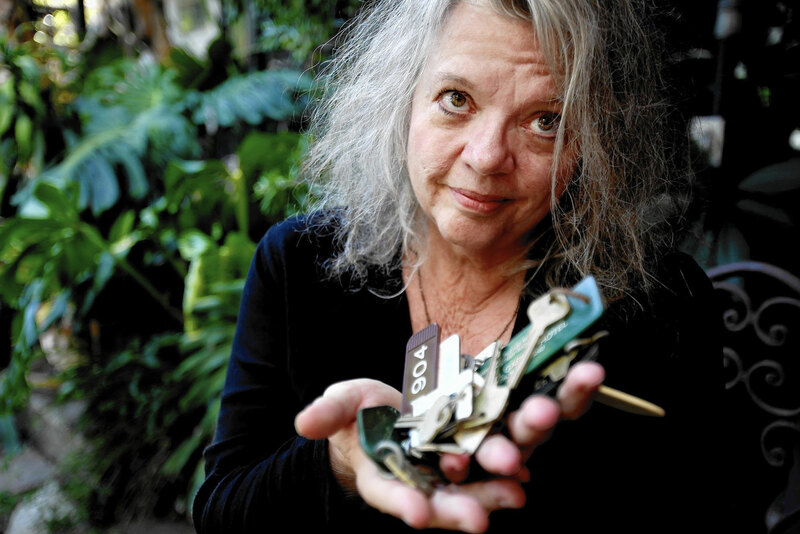 Hear a candid Gail as Bear perform with Kim Fowley as a bizarre Bunny! There should be 50 printed copies of this single, said Billy Miller, a really rare item! He was just one of those people who was wandering around the street in Los Angeles in those days. The hypophone is his mouth, ’cause all that ever comes out of it is hype. I don’t listen to much of what he does now. I happen to like ‘Popsicles & Icicles’ by the Murmaids on the Chattahoochee label, I dunno about his recent stuff.